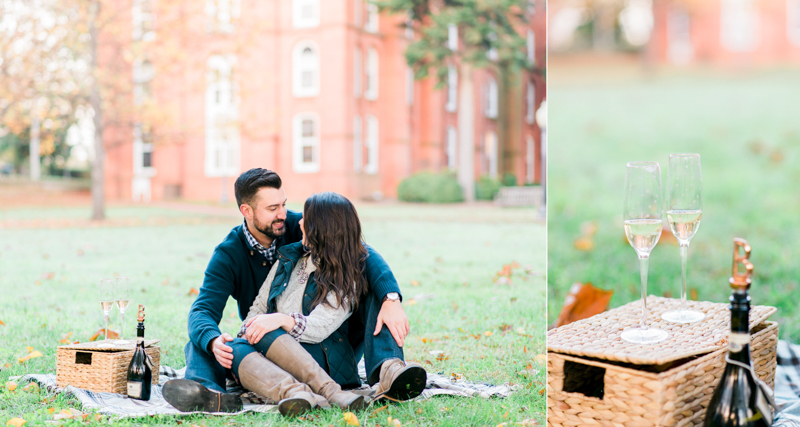 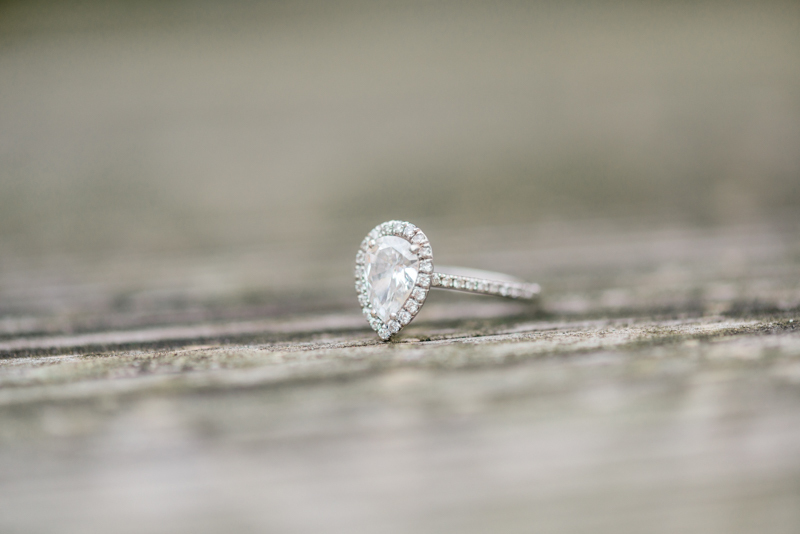 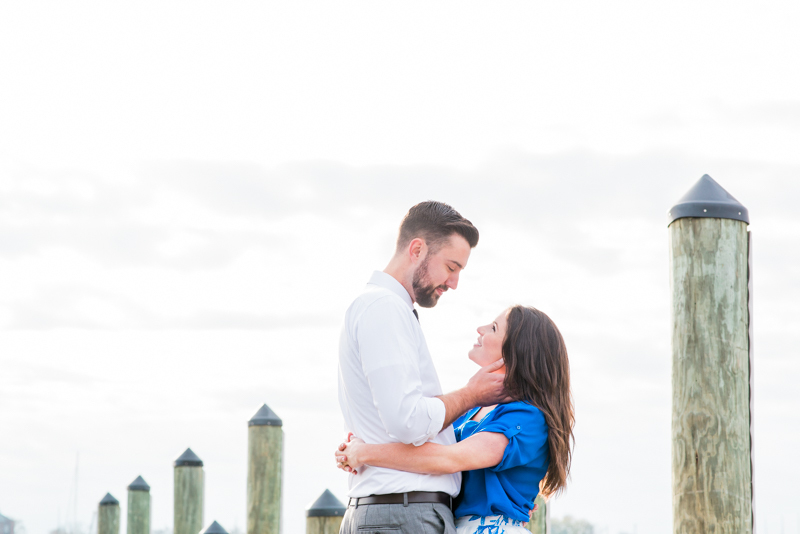 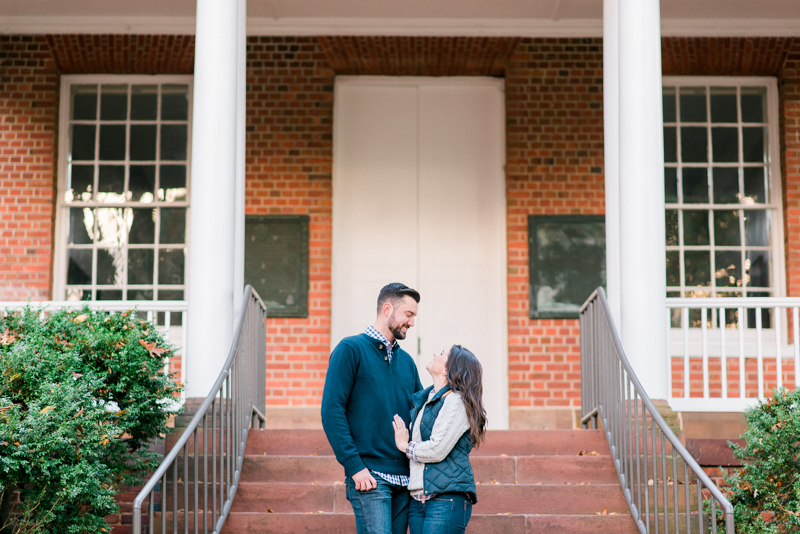 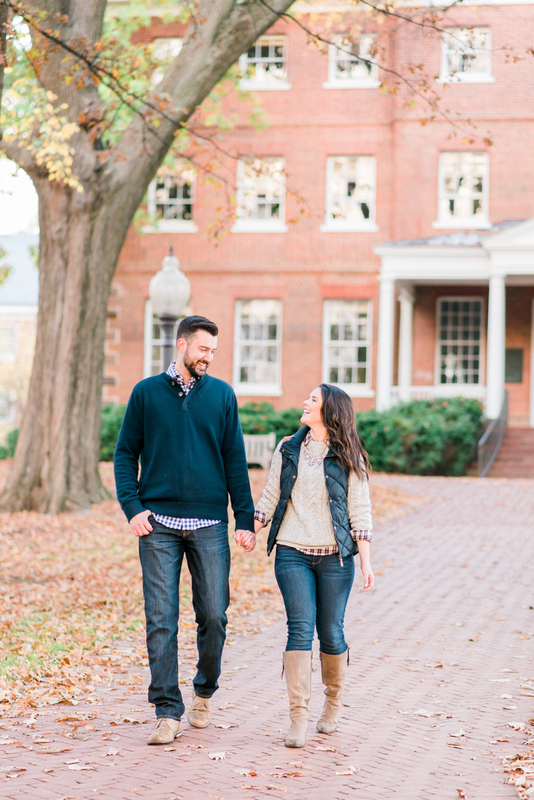 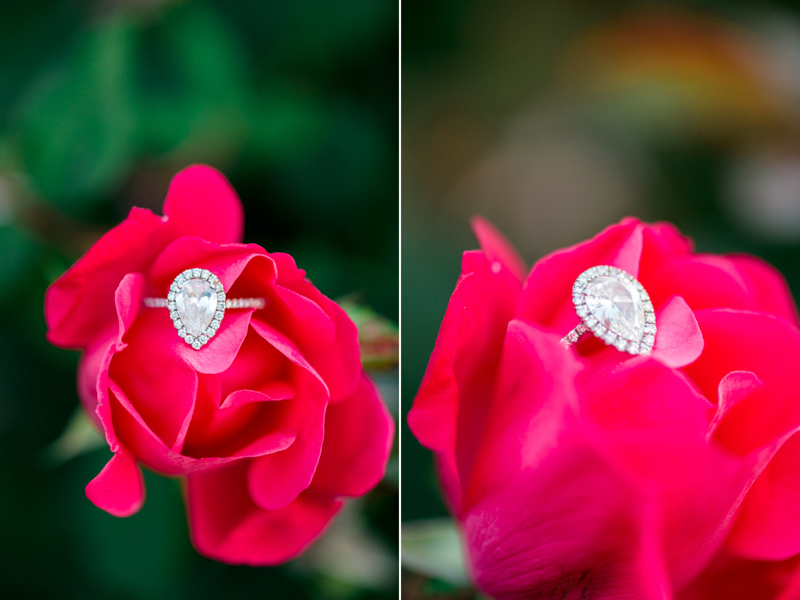 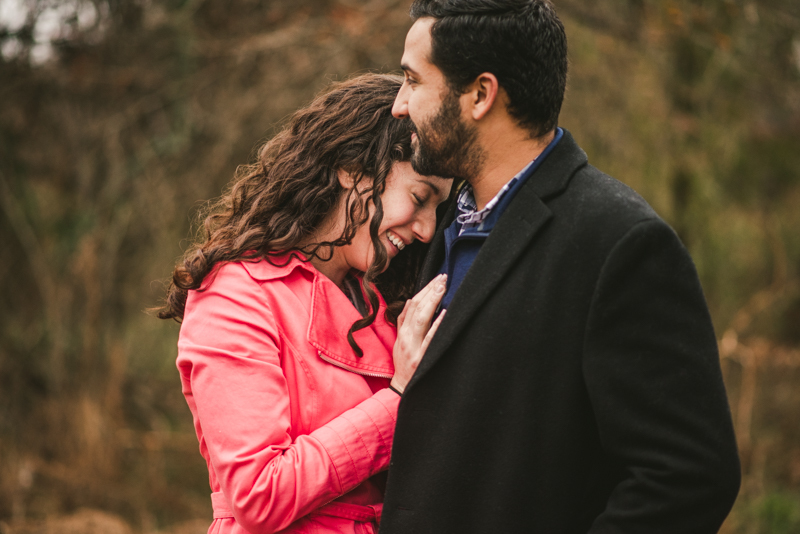 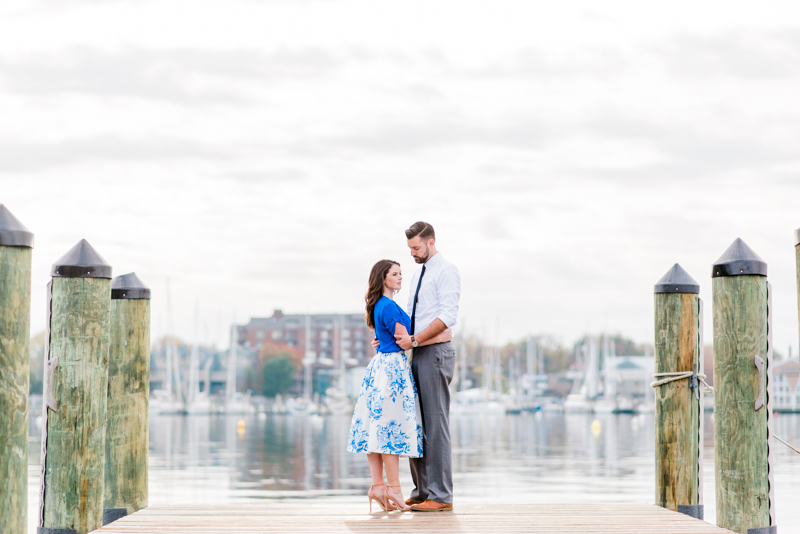 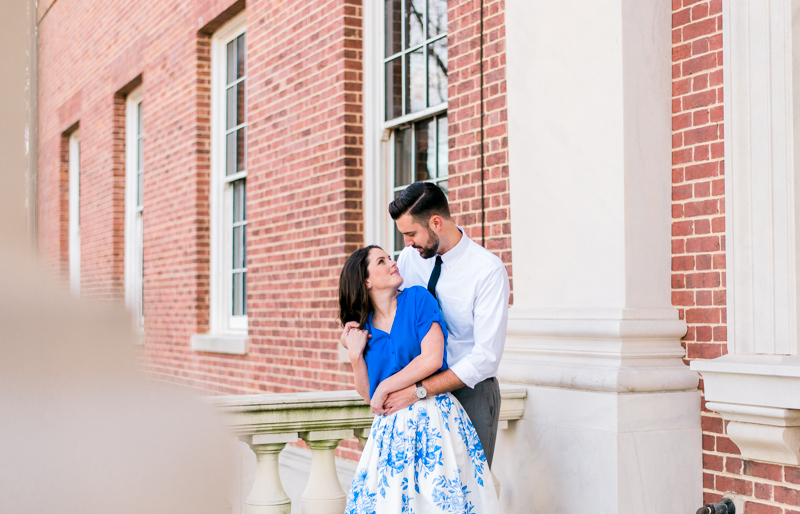 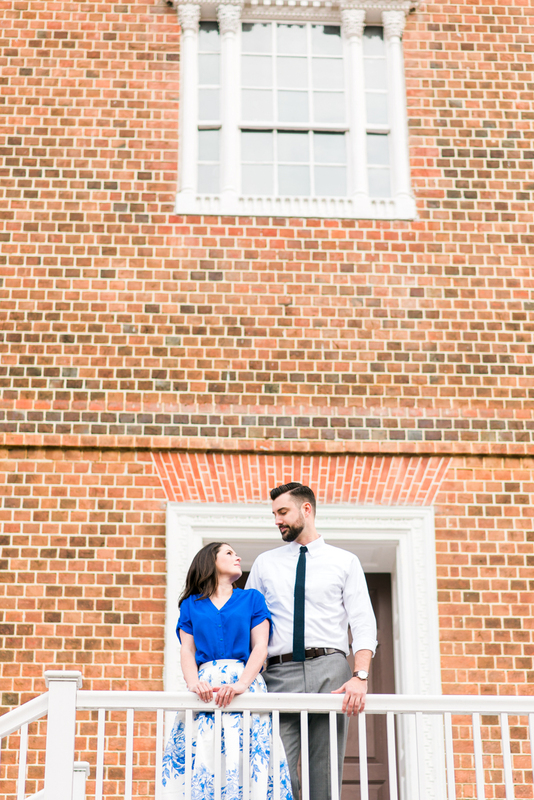 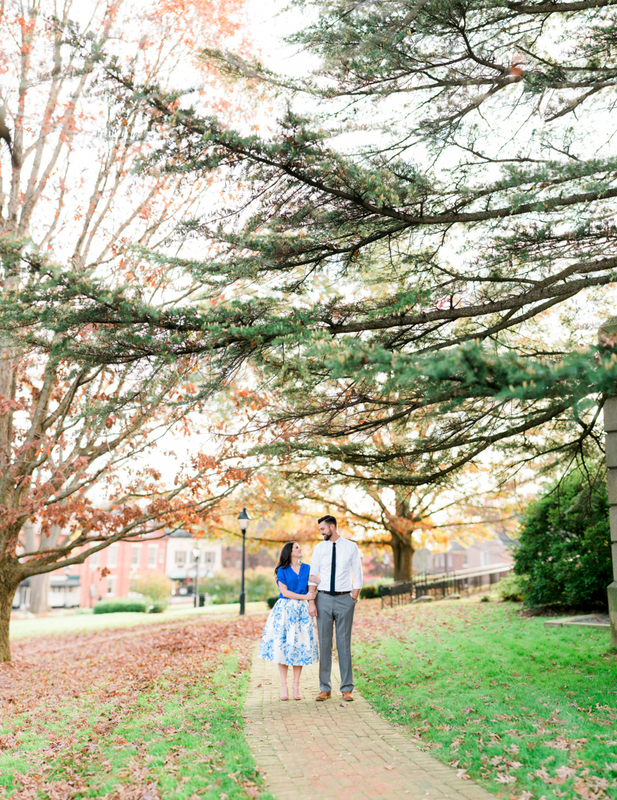 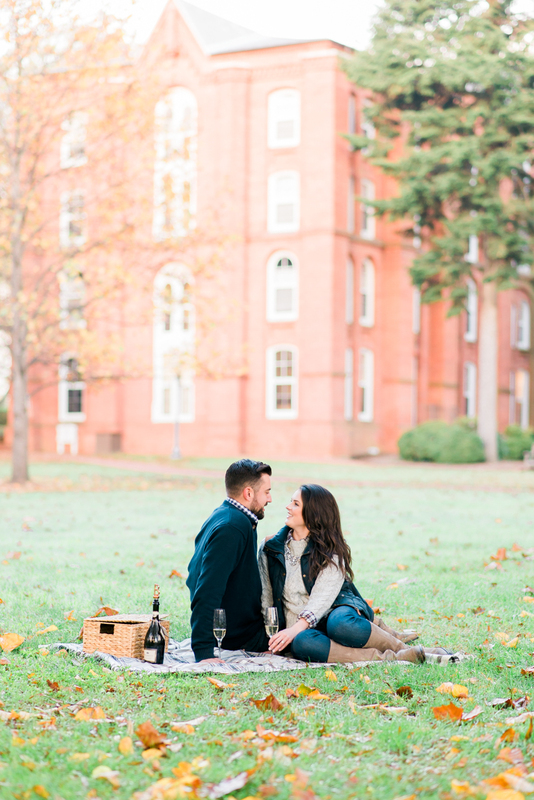 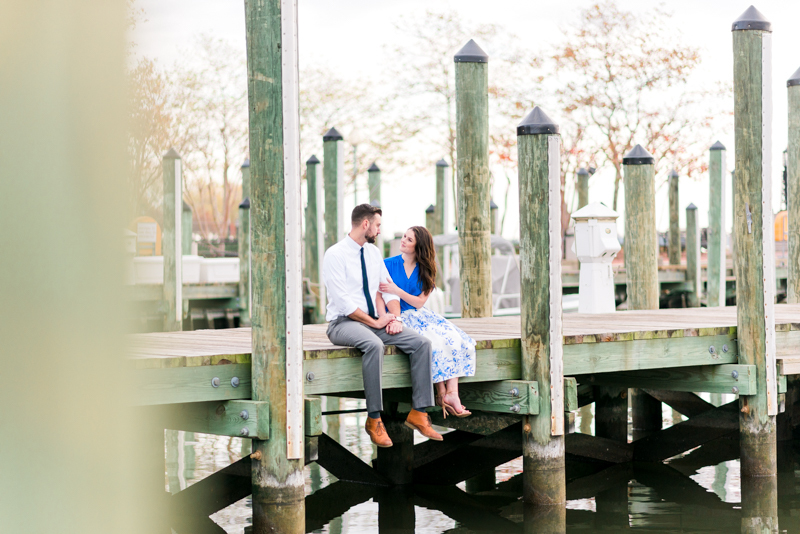 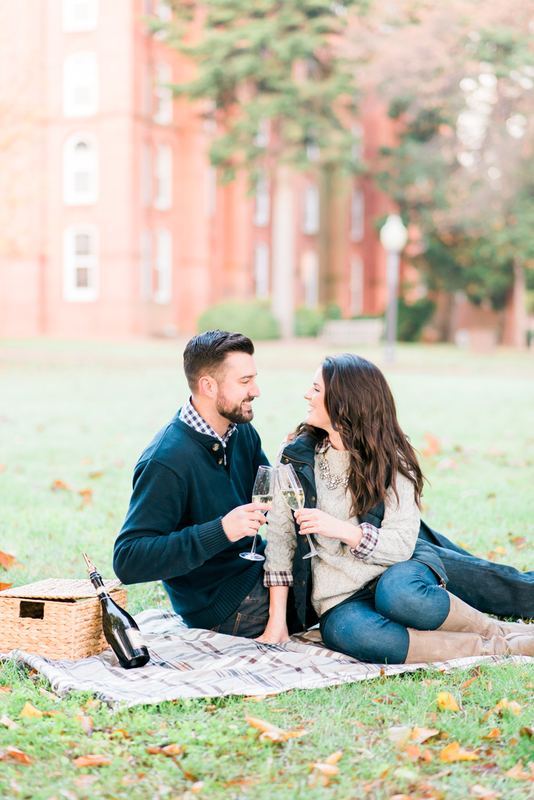 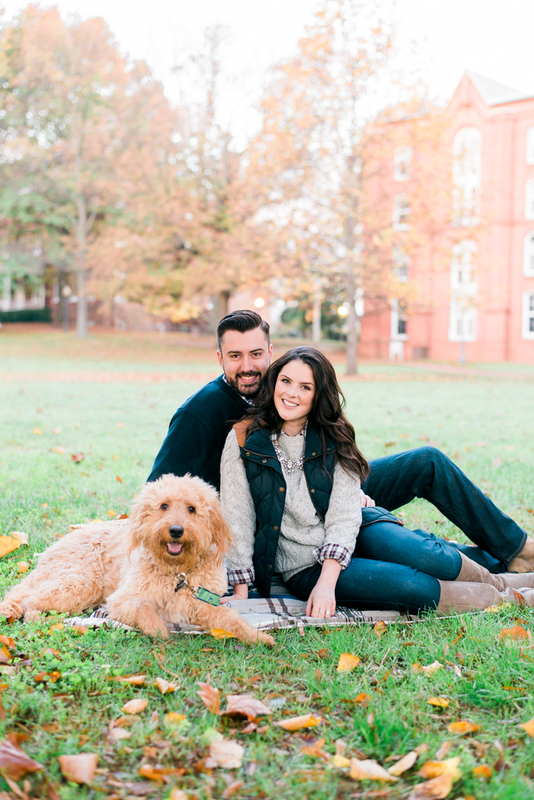 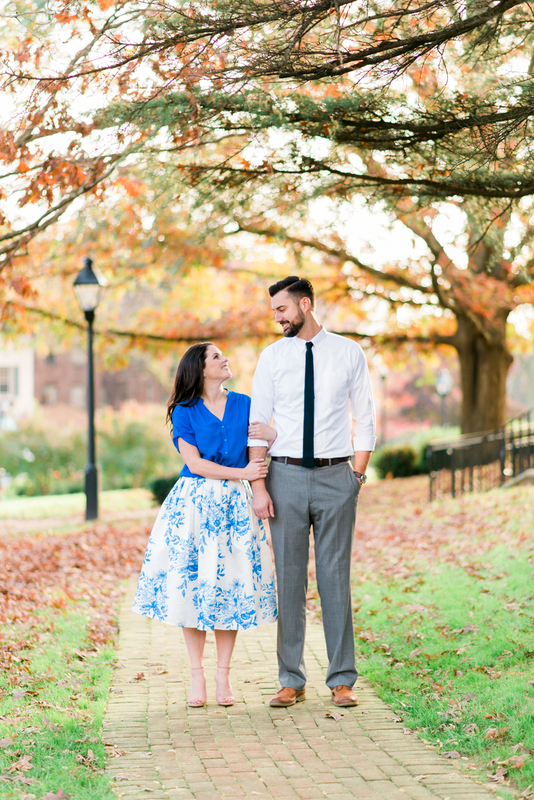 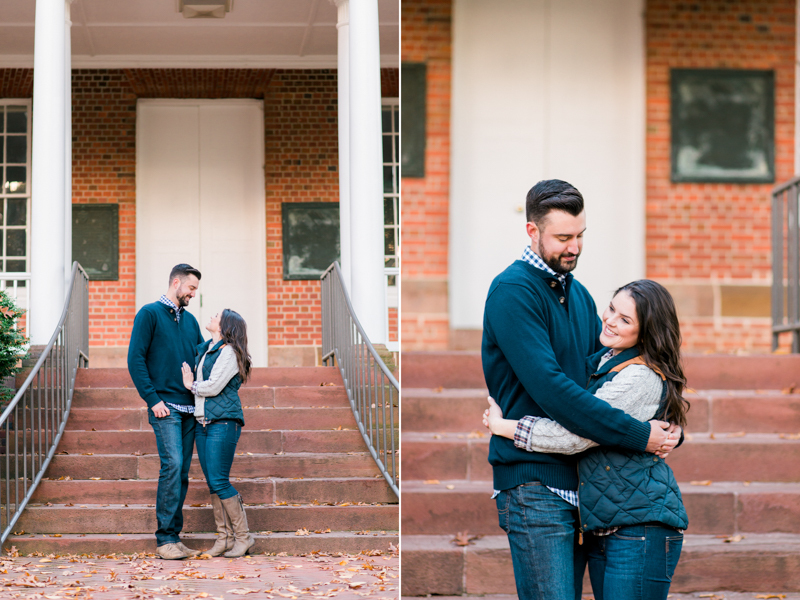 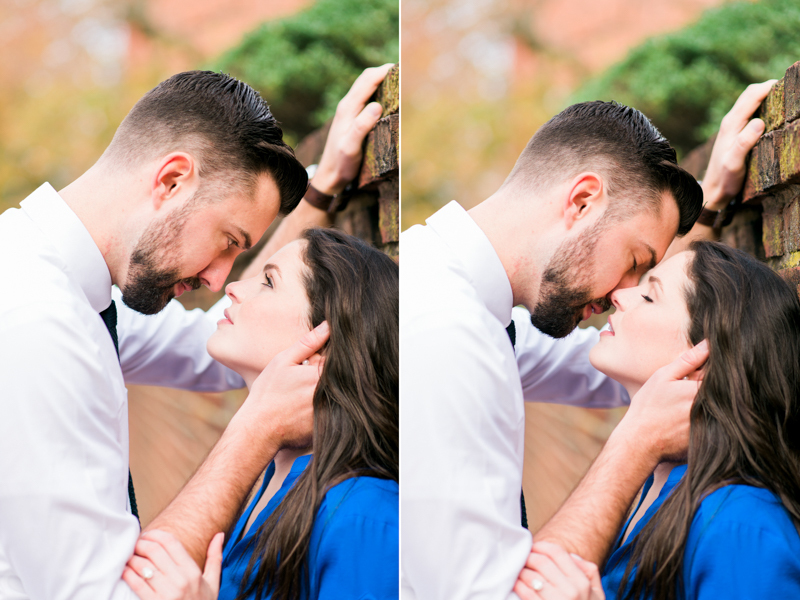 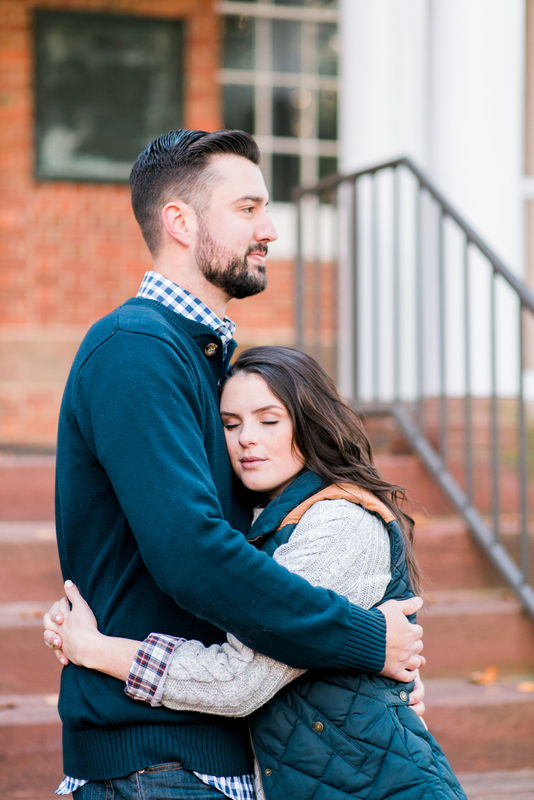 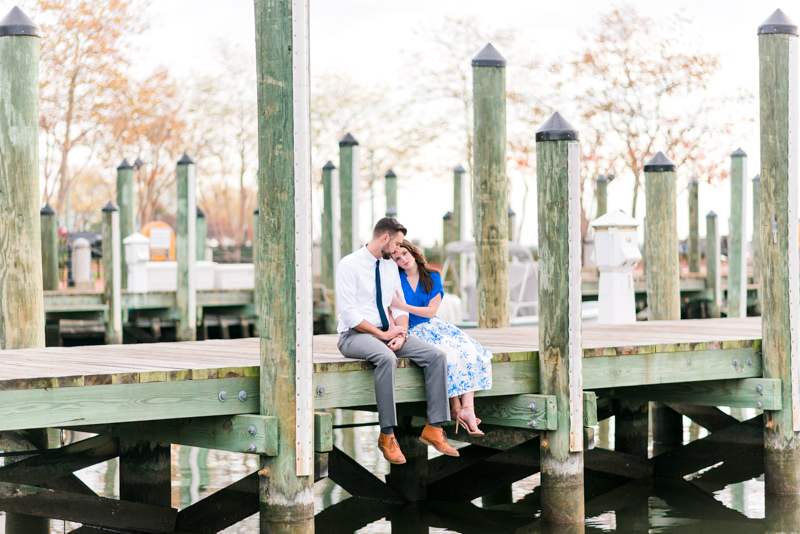 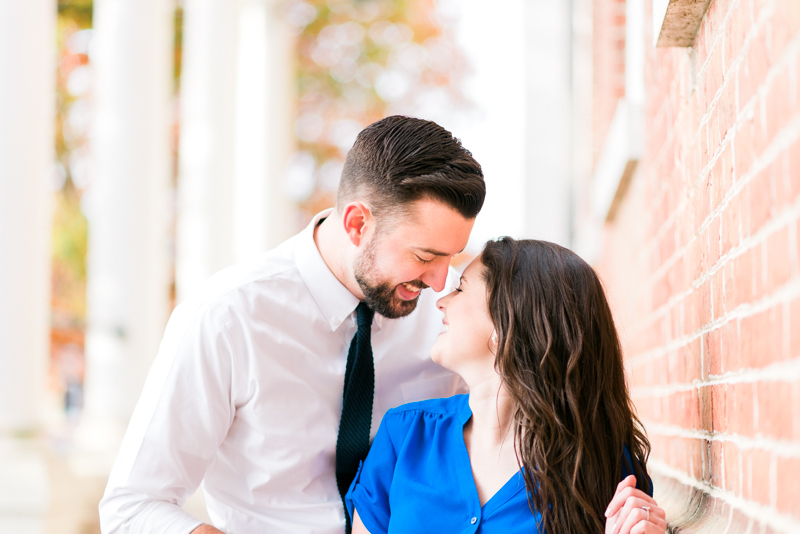 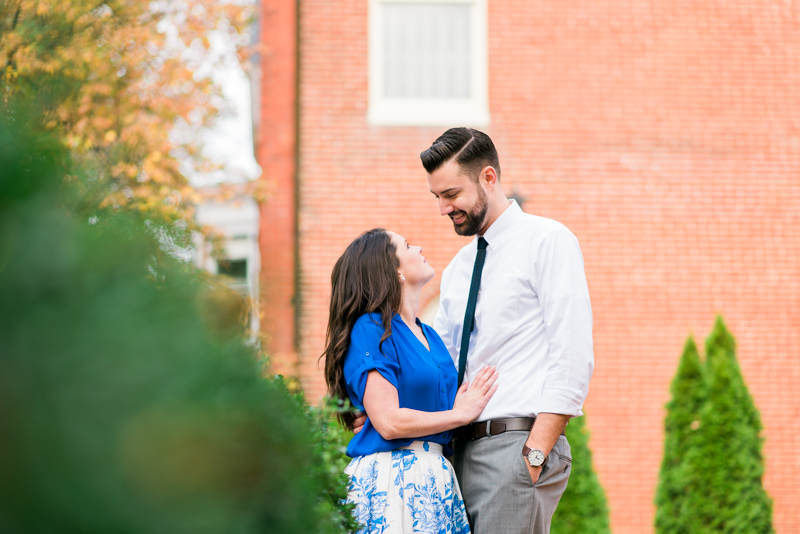 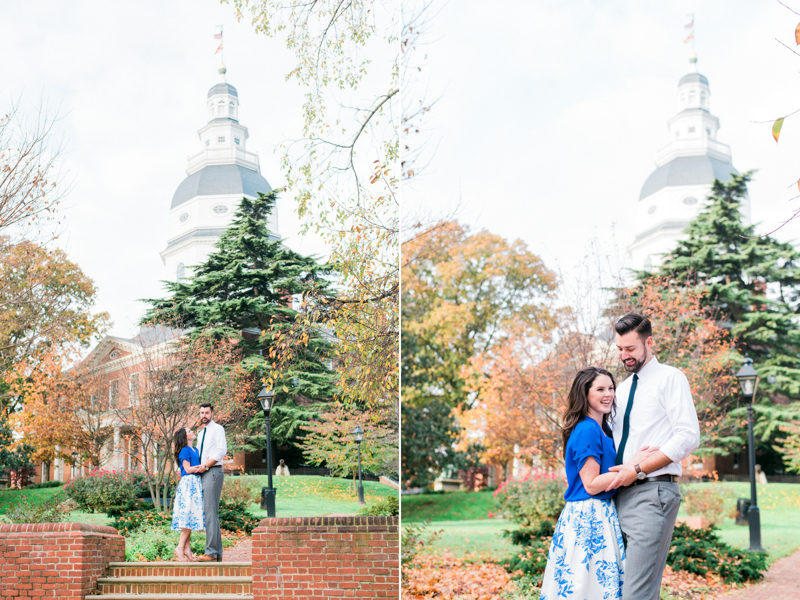 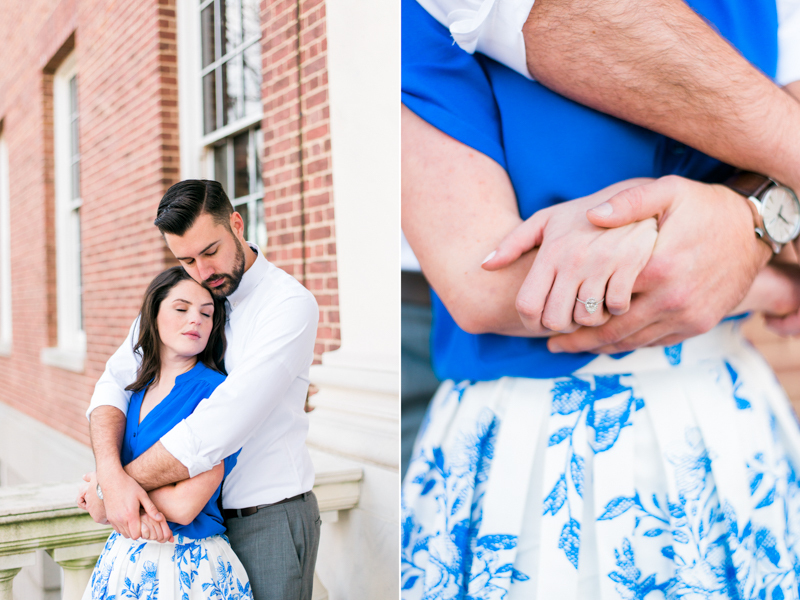 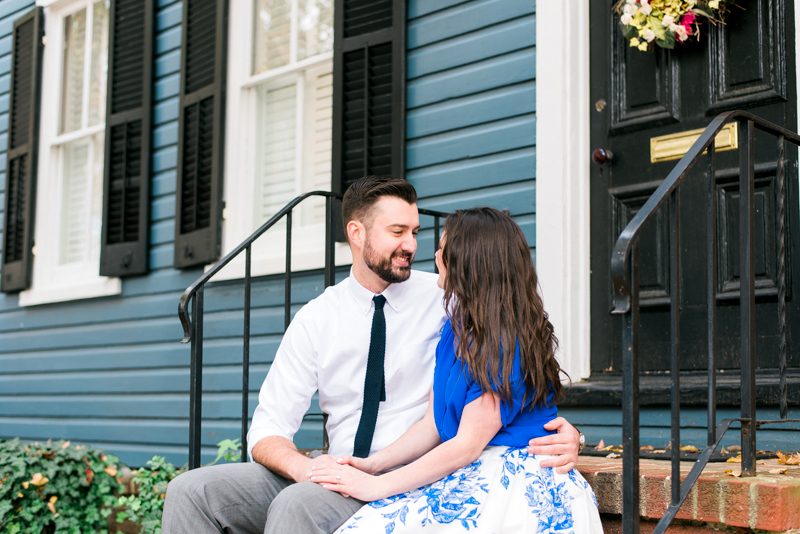 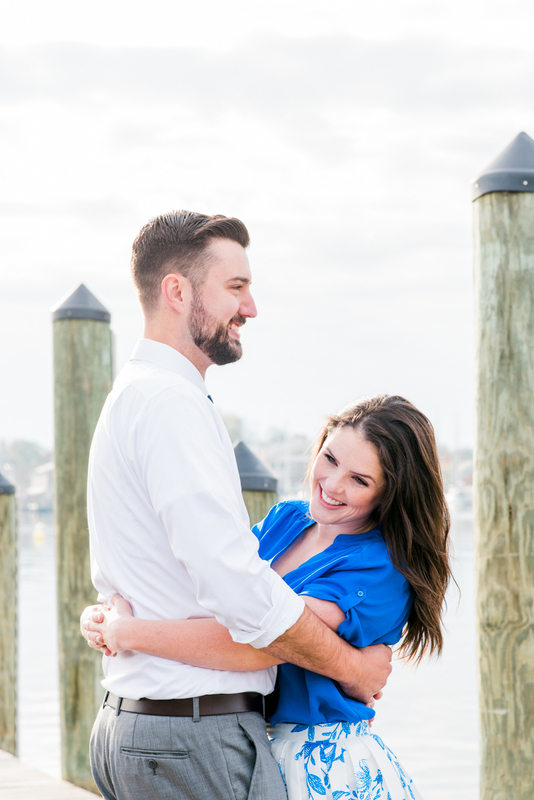 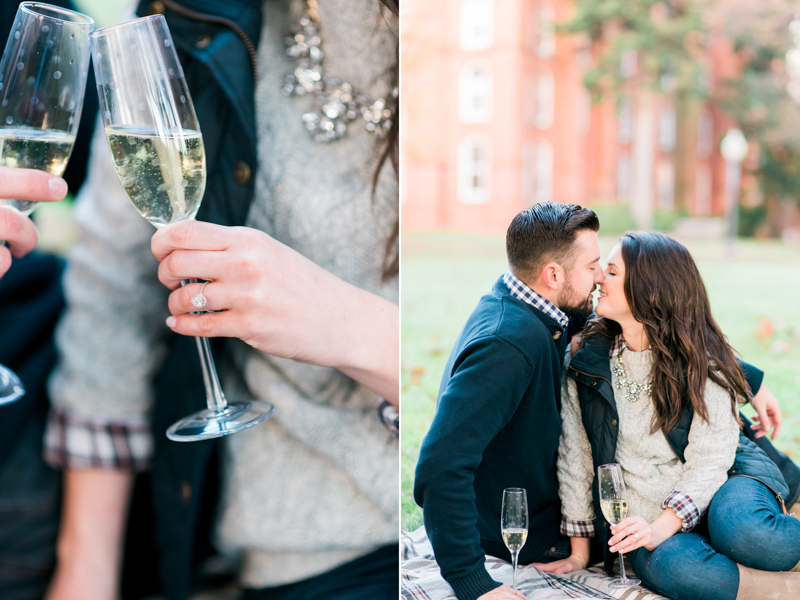 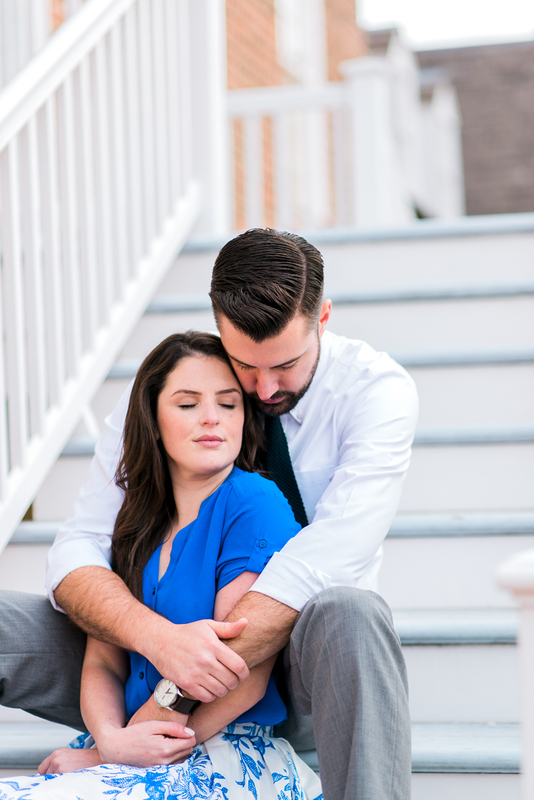 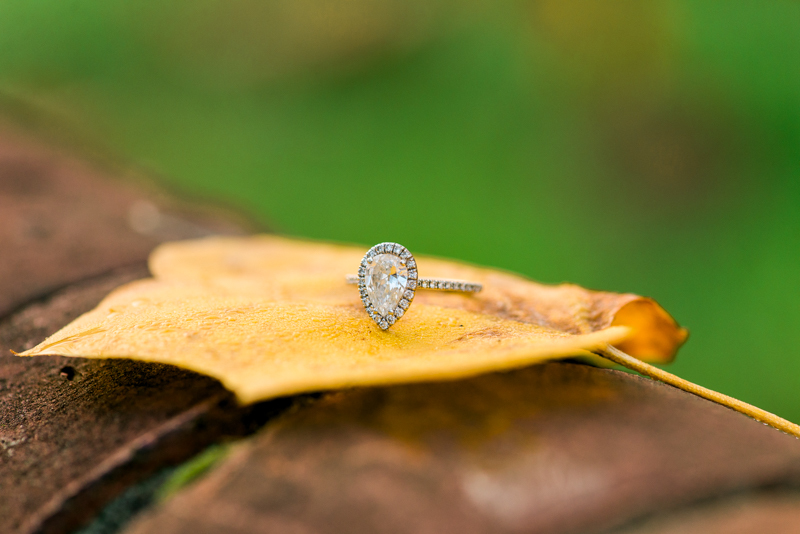 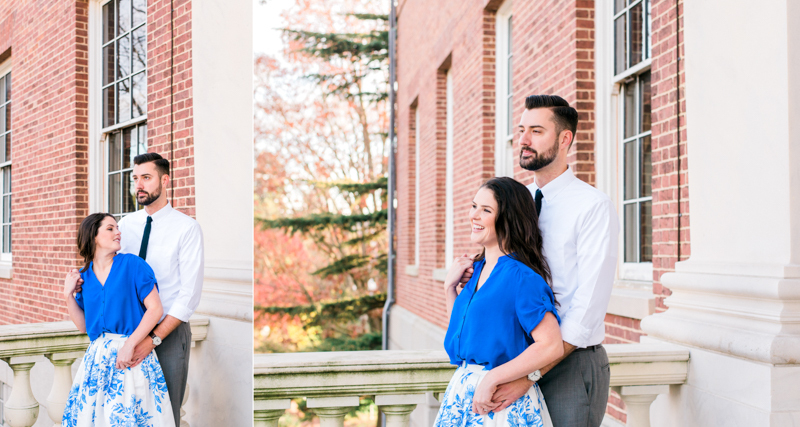 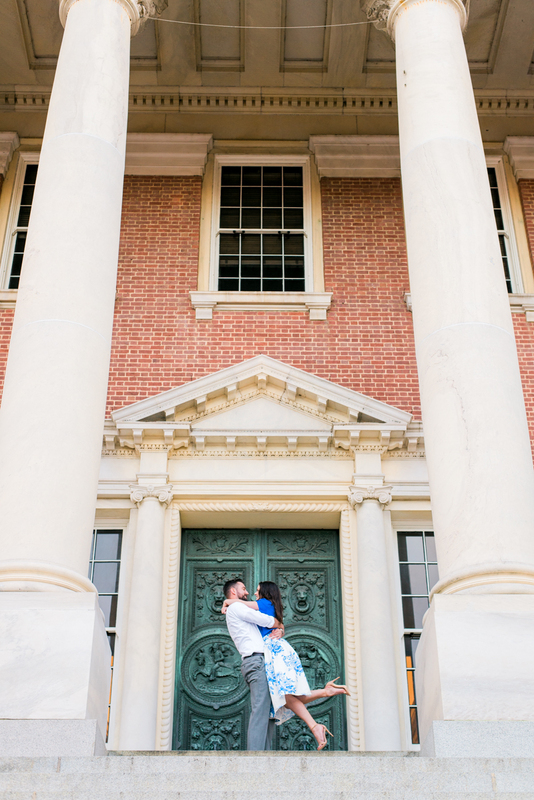 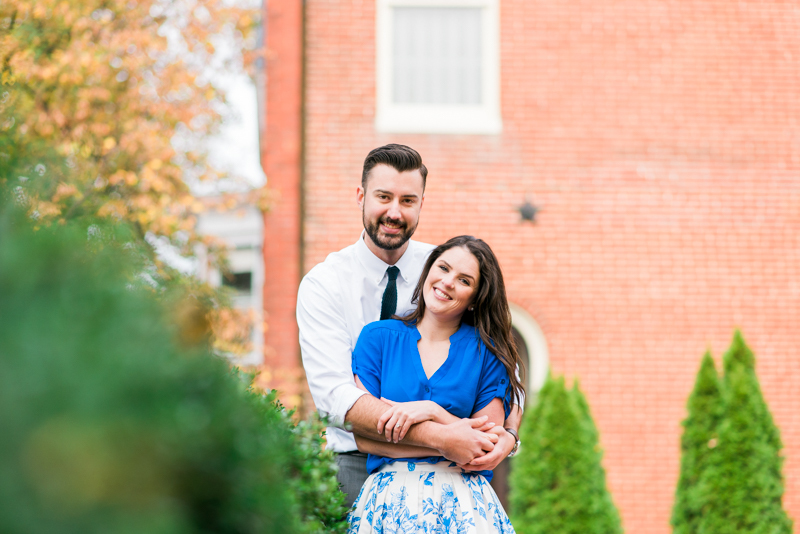 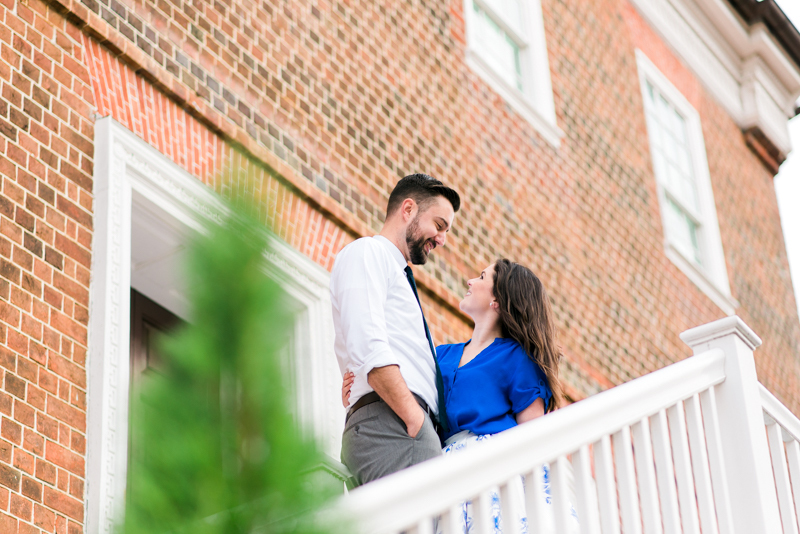 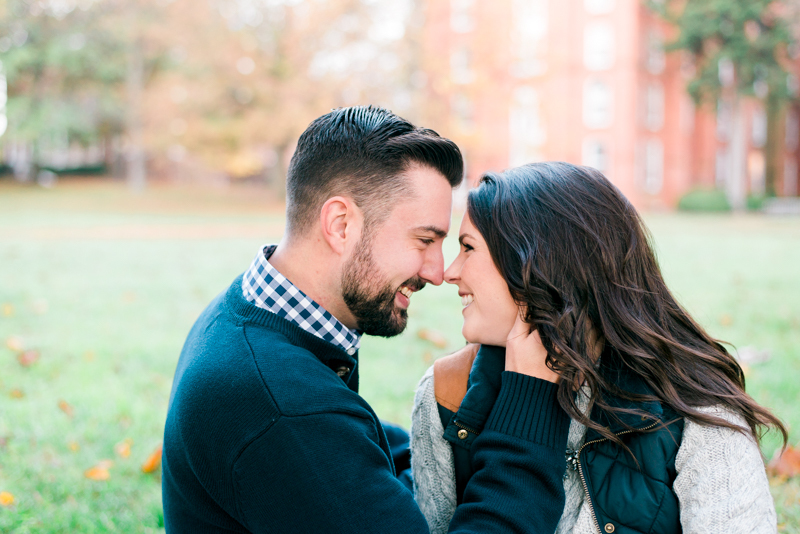 We met up with Kati and Chris on a cool November morning at St. John's College in Annapolis. 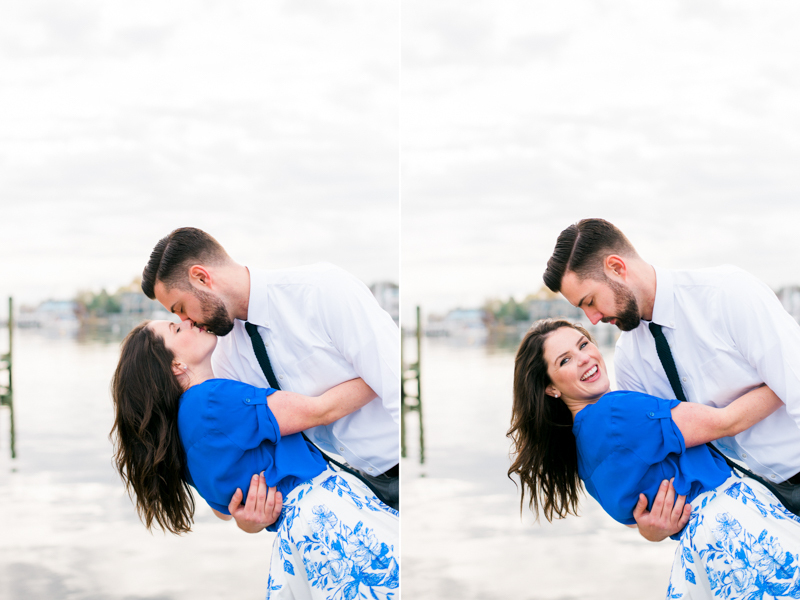 Though it was a sunrise session, these two showed up with bright smiles and a wonderful positive glow around them. 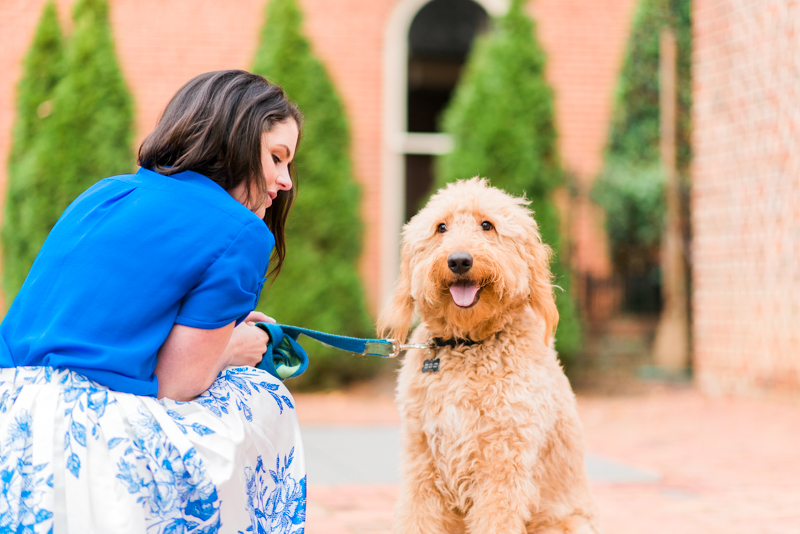 They also brought along their sweet goldendoodle, Dempsey, who is so goofy and charming that you cannot help but laugh when you see him. 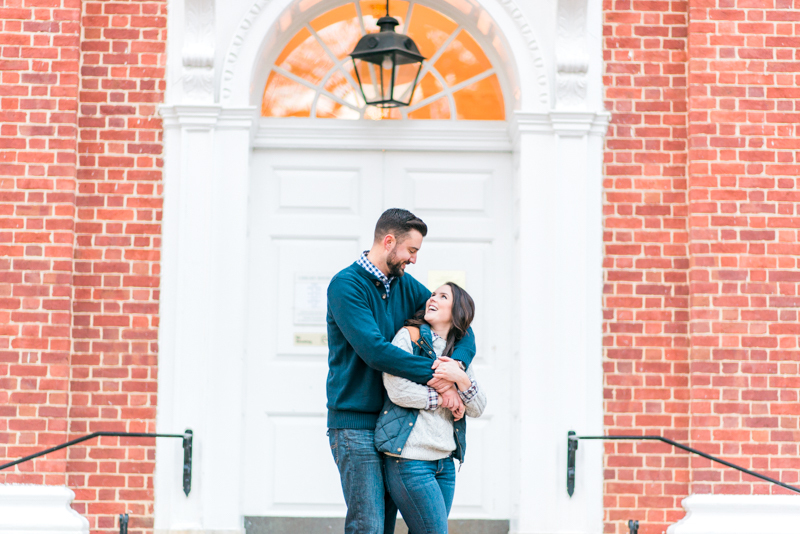 We were just into the first few minutes of the session when the cops came and hauled us off to campus jail... Just kidding! 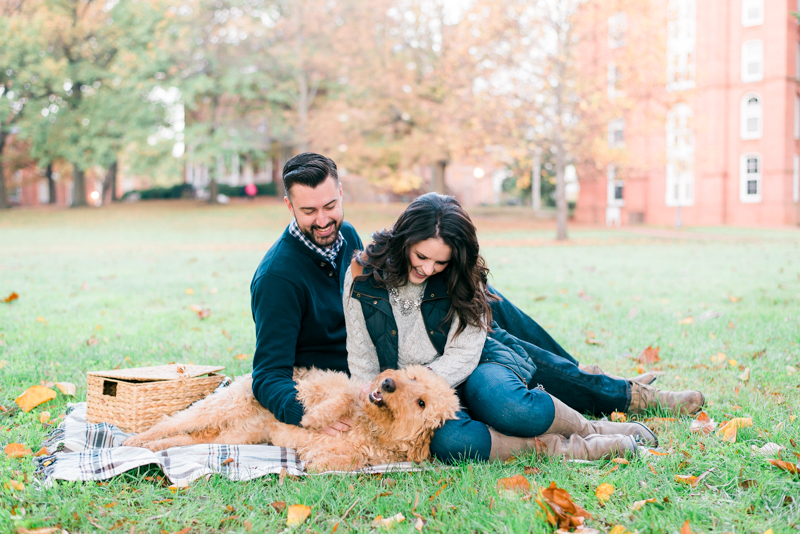 Although we did have to take Dempsey off campus grounds, the security guard was totally nice about it and even hung around for a little to talk to us about how adorable dogs are. 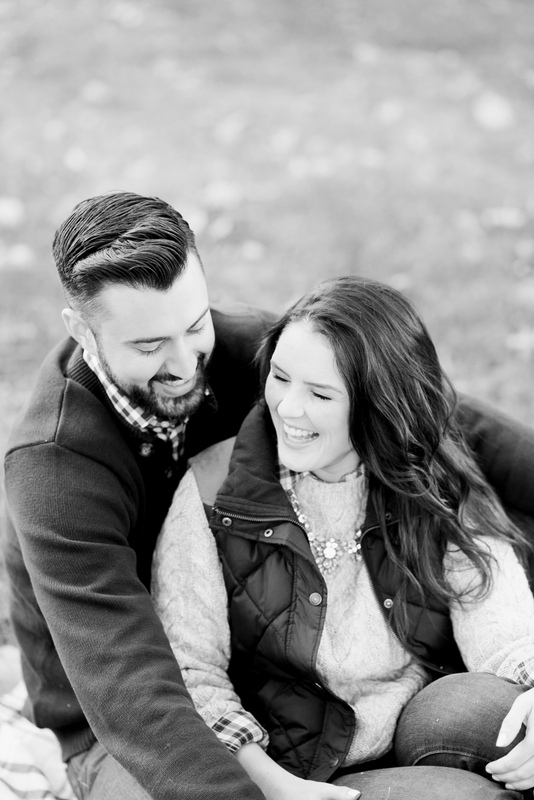 (Shout out to that awesome guy!) 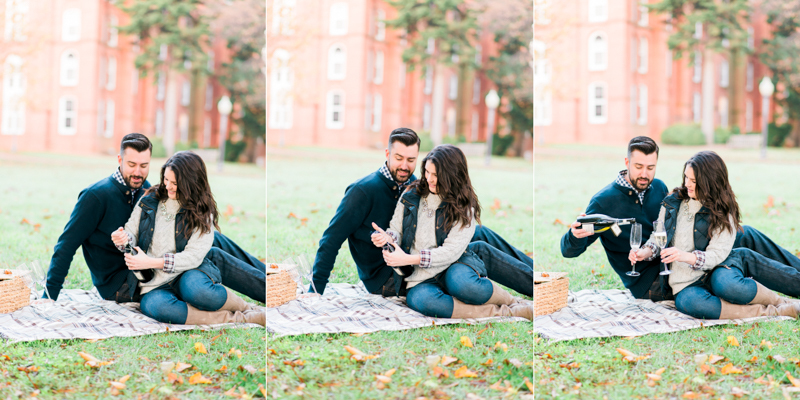 Once we stepped off campus, Dempsey he made his triumphantly adorable return for the rest of the session :). 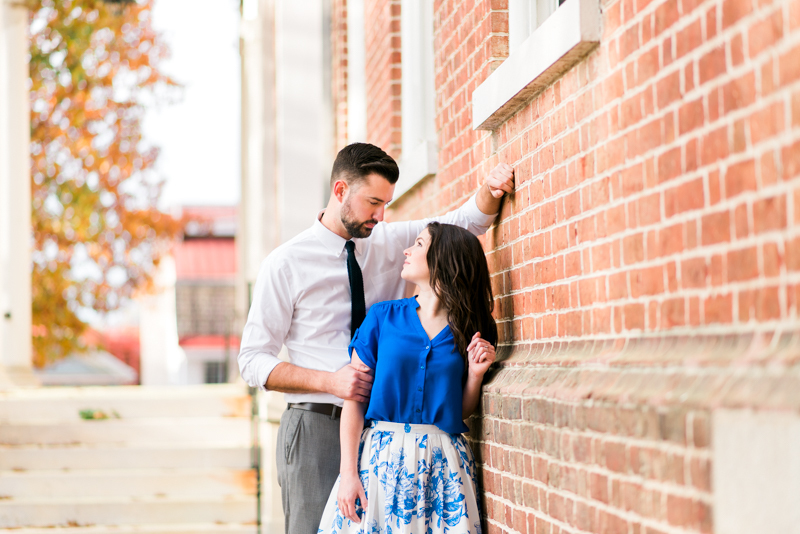 Shawn and I loved wandering around downtown with these three, chatting about how nice of a day it was and about their proposal. 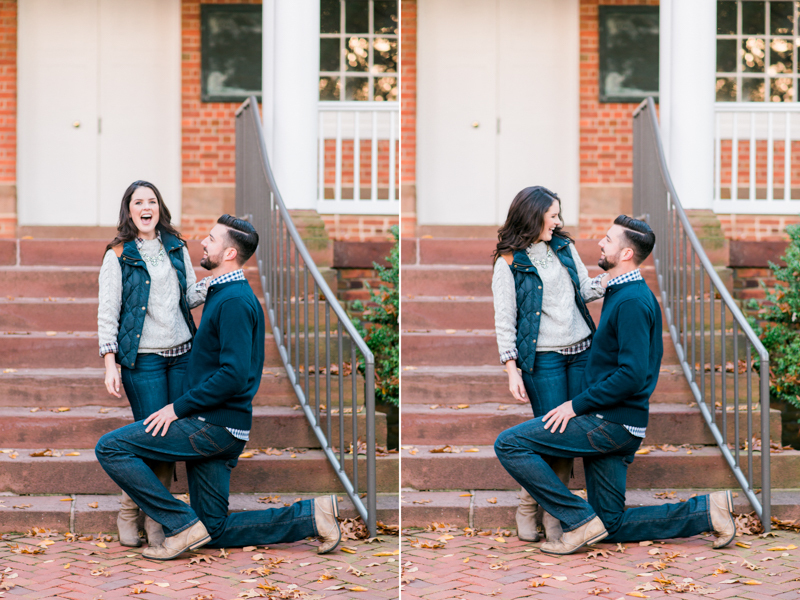 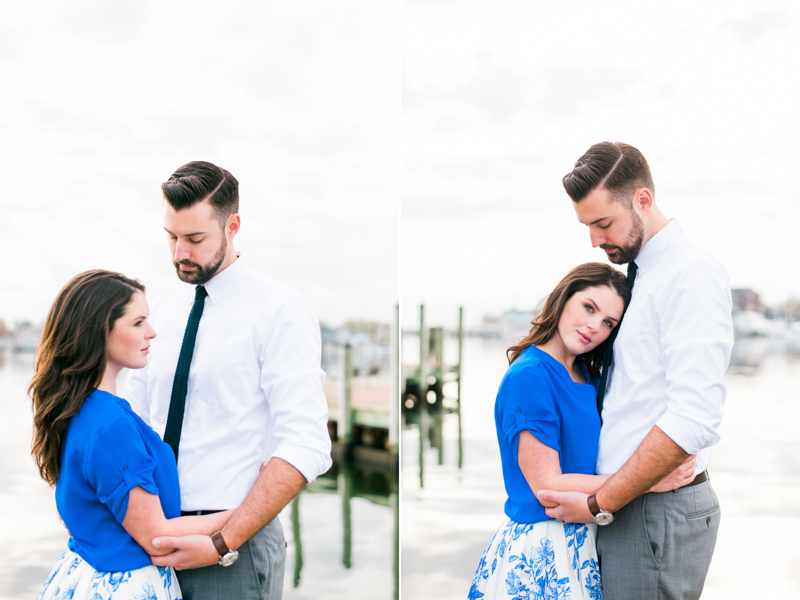 Kati and Chris showed us just how crazy their height difference with a reenactment of Chris on one knee (so funny!). 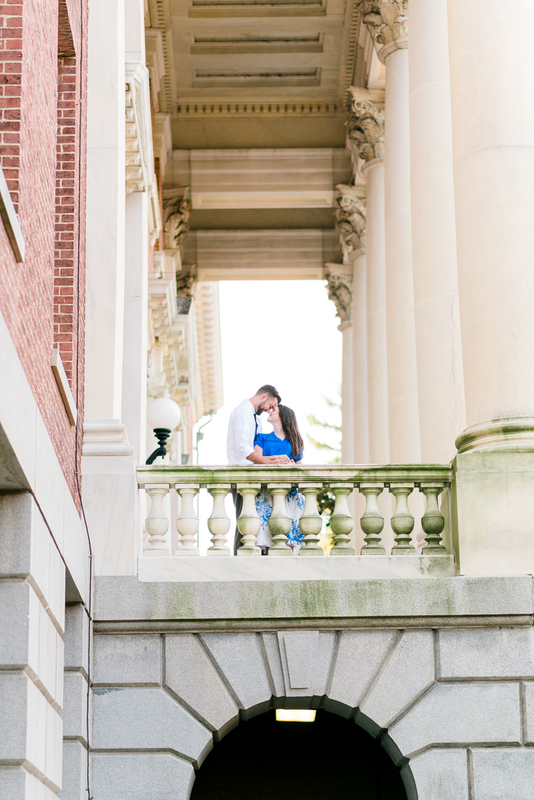 We made stops at the State House, Ego Alley, and then the William Paca House and Gardens. 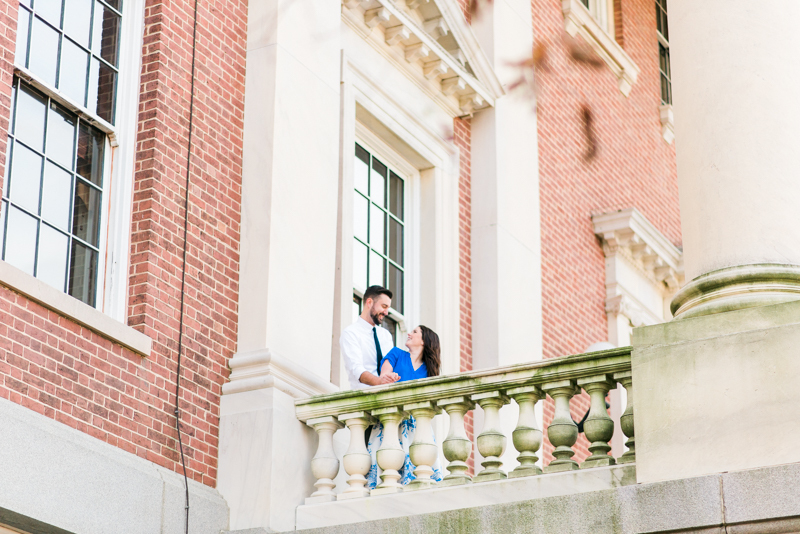 There was some construction going on out front of the house, which meant that the workers on this fall day got a nice little glimpse of romance, haha. 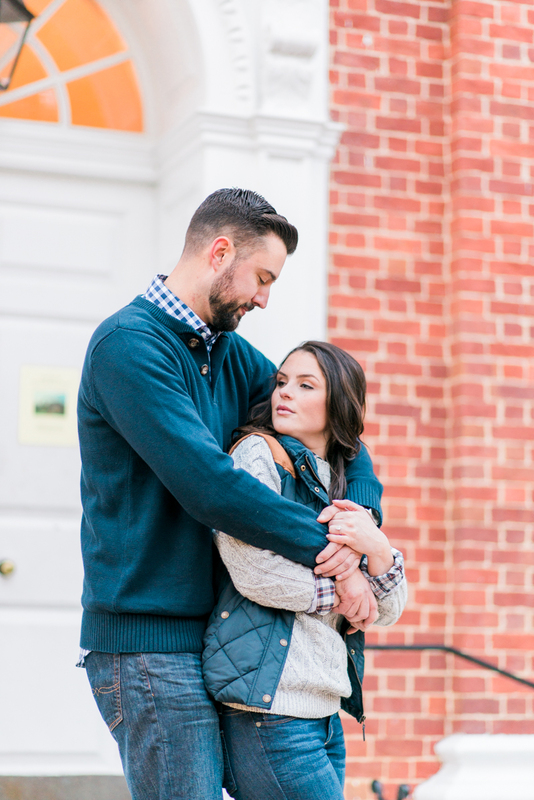 Kati and Chris are so cute and fit together so well that they look like they stepped out of a Nicholas Sparks book. 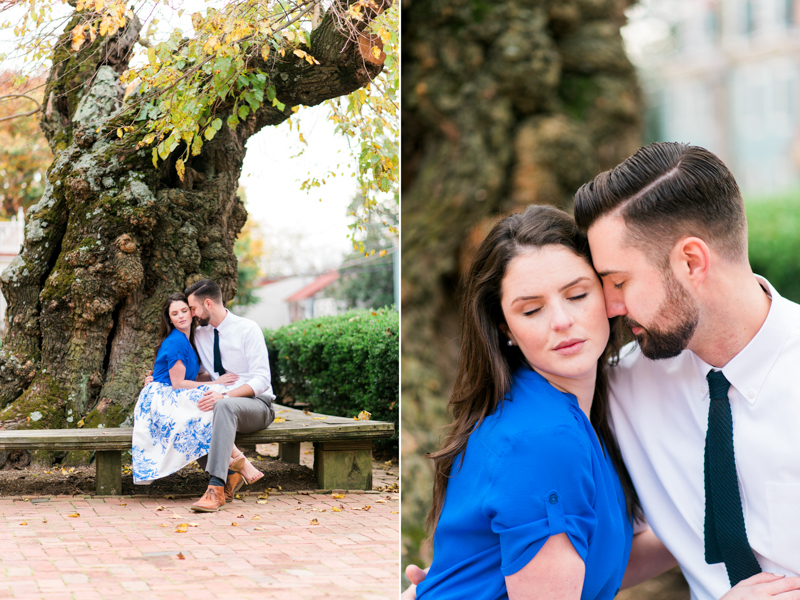 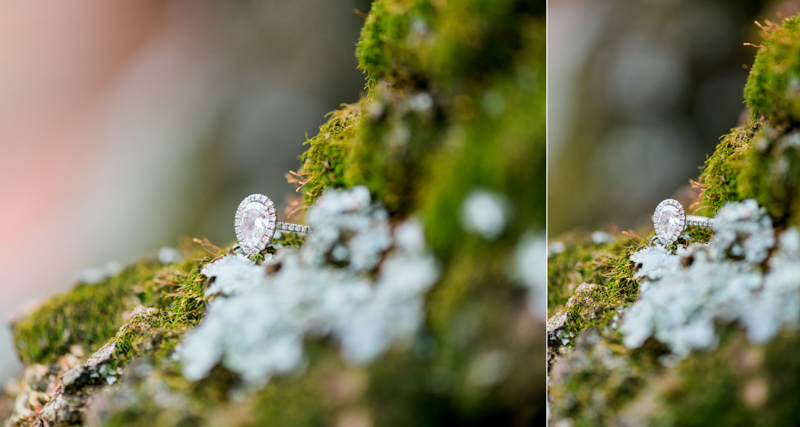 Especially in front of the mossy tree at the William Paca House. 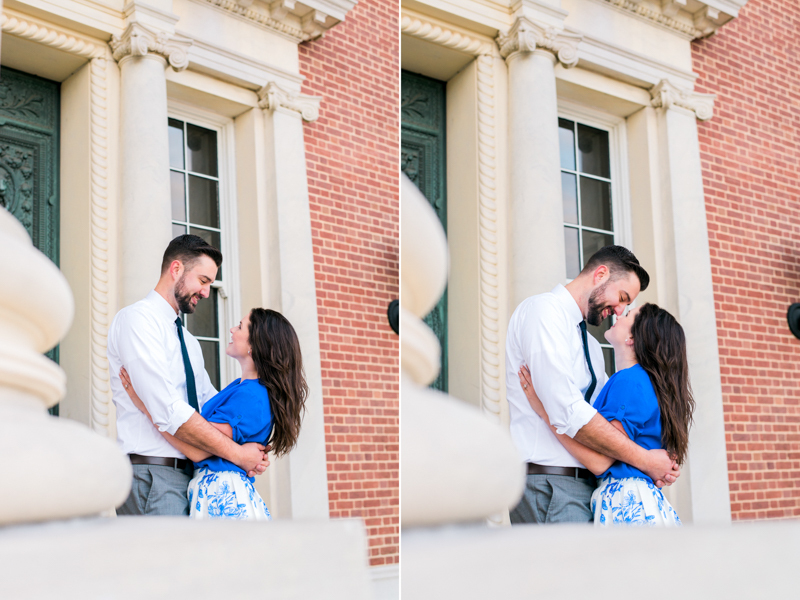 I could have sworn these two were movie stars! 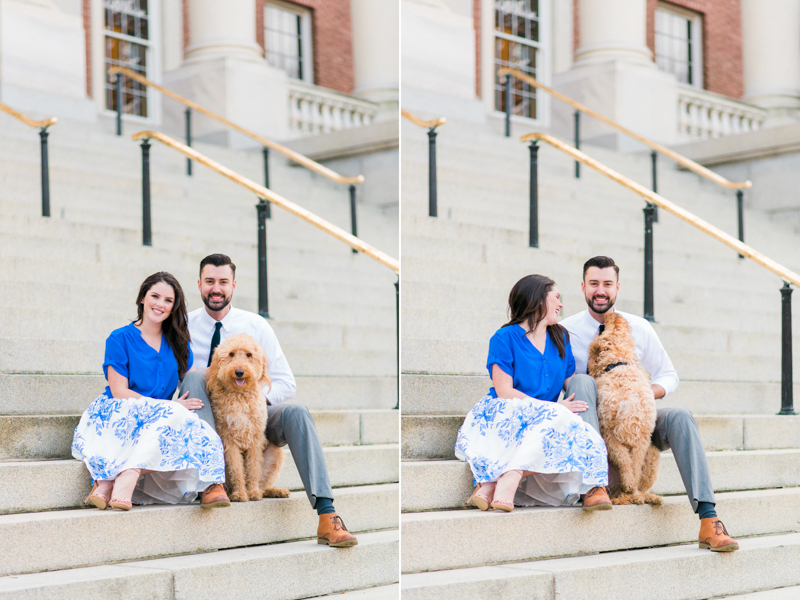 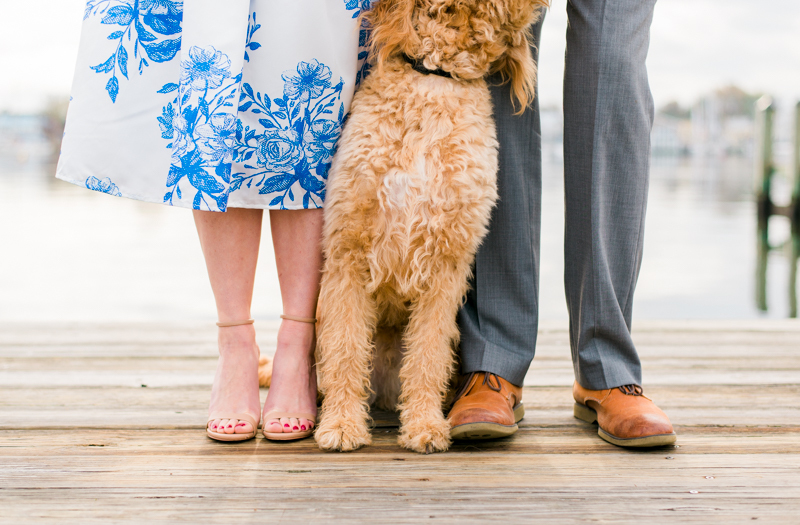 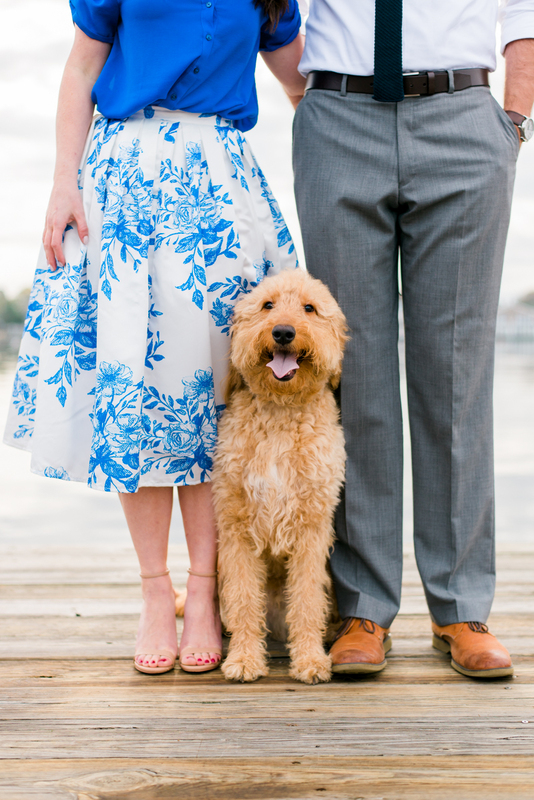 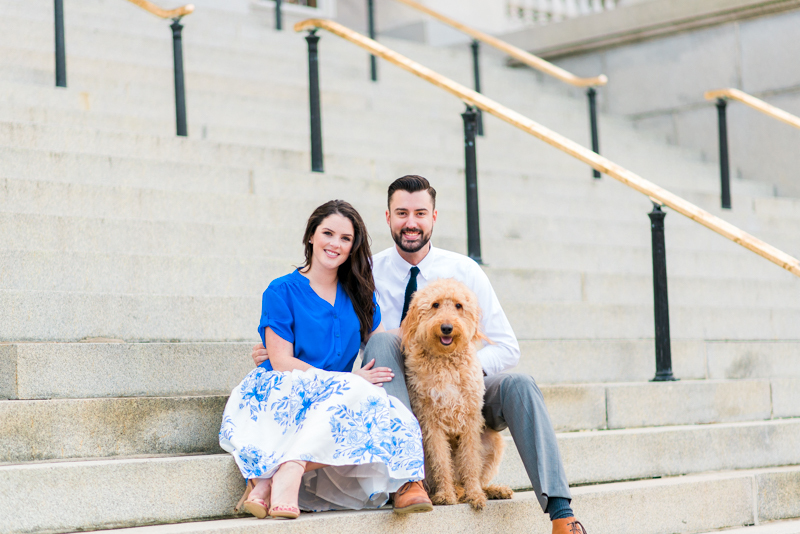 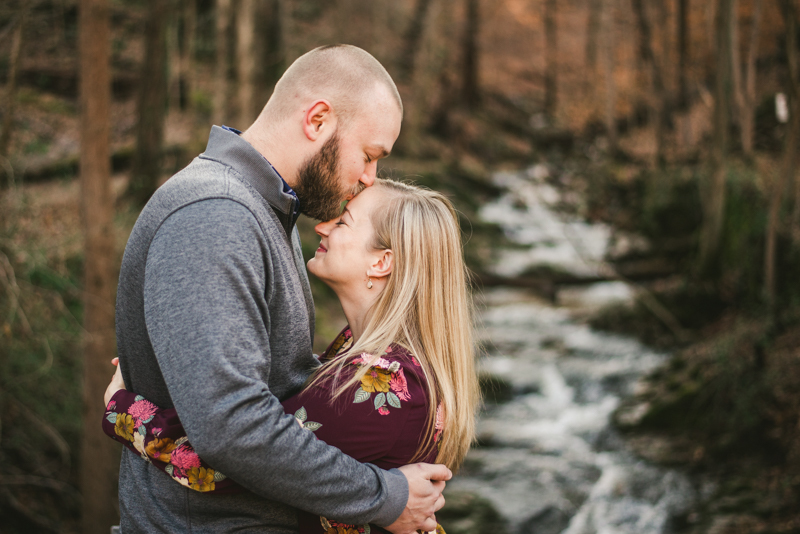 I loved working with these three awesome people (yes, I consider dogs people :P), they are so full of love, and I know that Kati and Chris are going to have a beautiful marriage <3! 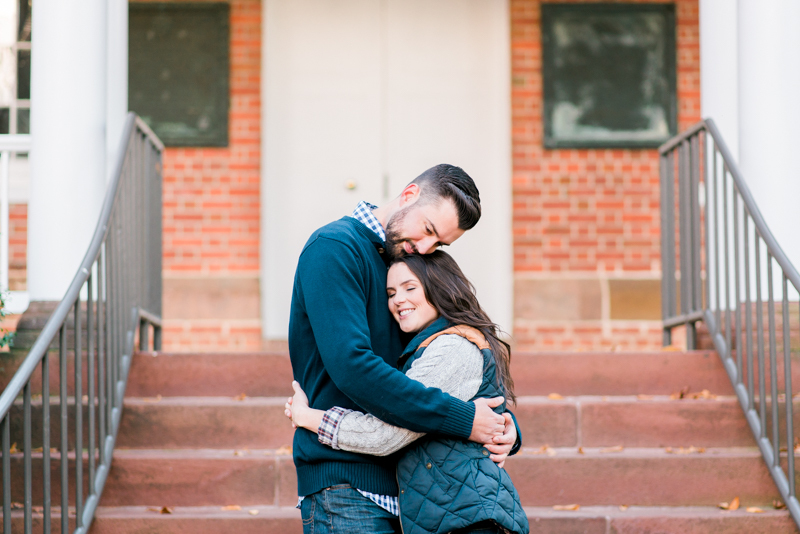 I literally just turned around and they were posing like this. 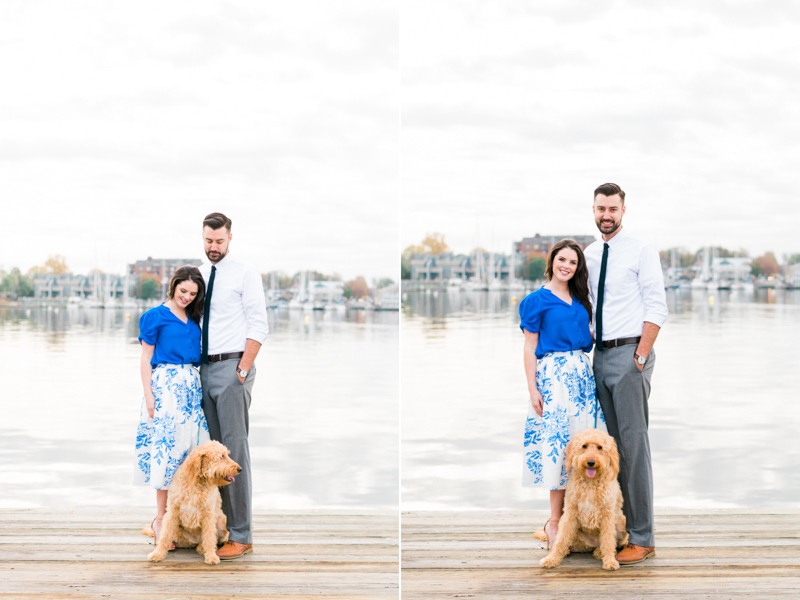 Talk about natural models!